With coffee shops nearly as ubiquitous as grocery stores, liquor shops, and pop-up vapor lounges, getting a cup of coffee in Chicago can be an overwhelming affair. 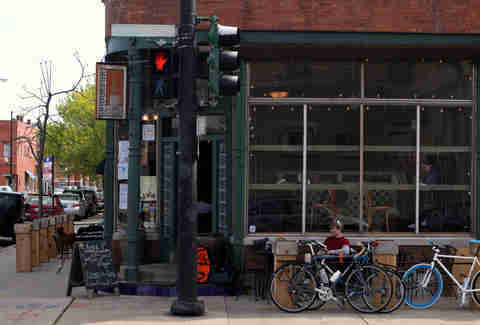 Not if you know where to look, though, like the best non-chain coffee shops in 27 different Chicago neighborhoods. Looking immaculate amidst exposed bricks and pretty wood, this no-frills modern espresso bar plays music by everyone (from Panda Bear to Beastie Boys), while packing a massive punch with its Double Strength Cold-Brew coffee. Stop shaking long enough for a Brie/apple/walnut flatbread followed by Miko’s Italian Ice and shots. Of booze. Or espresso. Or... both? 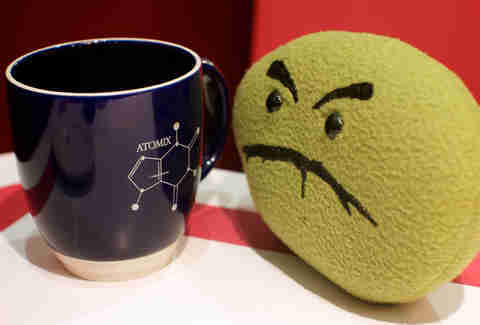 For most of us, the house Brew Brew Blend is more than enough to pry our eyelids open in the morning. Fancy types can also go with the Burundi Kirema or Colombia Los Naranjos single origin espresso, but it would take a fool of momentous proportions to skip out on the Dirty Mexican Hot Chocolate -- a seductive blend of Mexican chocolate and espresso shooters. Also stop by for the occasional live jazz and art exhibitions. Located across the street from Maria’s Packaged Goods, this all-day hangout helps anchor a recent neighborhood revival thanks to its welcoming, sunny vibe paired with standout roasts like Santa Josefita Bourbon and Sumatra Gayo Sriwijaya. With four rooms of free Wi-Fi, it’s the place to hole up for hours and (pretend to) get tons of work done. Sometimes it’s not about the fancy touches -- it’s just about the coffee. One sip of the Nutella mocha or Ipsento latte with coconut milk & honey, and you’ll swear off Starbucks for good. It's even got sandwiches named after authors (F. Scott Fitzgerald = ham; Garrison Keillor = turkey), plus books written by them (and others) on the shelves. 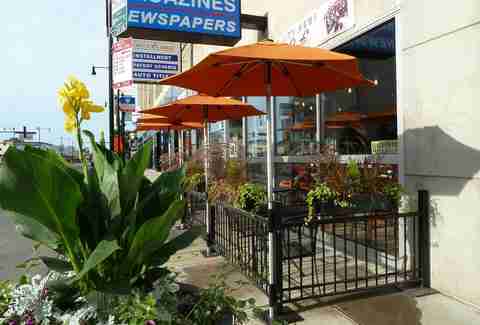 One of Chicago’s most popular coffee shops ain’t exactly cheap ($8 for a bagel lox sandwich? ), but it has pretty much everything you need in a coffee shop: cool vibes, comfy seating, and a variety of standout roasts including the famous Kyoto-style cold-brew iced coffee. It even has 96oz urns of coffee to go, depending on how deep your coffee crush lies on the addiction scale. This little coffee stand in the heart of the Viagra Triangle’s Mariano Park is a peaceful oasis surrounded by a desert of douche. 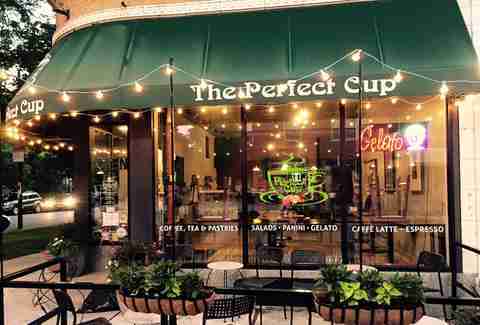 Besides excellent coffee, it is known for its gelato, which brings in the tourists as well as regulars -- all of whom peacefully coexist in the European-style outdoor setting that forms one of Downtown’s finest hidden gems. This place is just… cool. You know it from the moment you walk in. 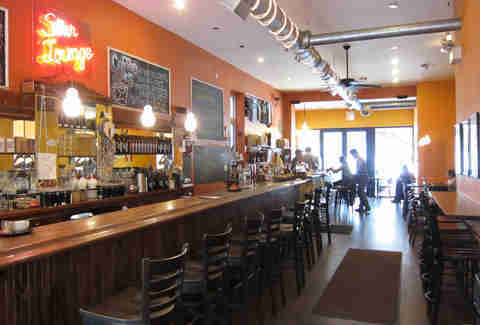 With an old-school neon sign hanging over burnt-orange walls, it feels like the kind of place rock stars go for coffee. If they drank coffee. They drink coffee, right? For you, it has Wake & Bake espresso with maple syrup, and Unicorn Blood lattes (which you should also probably add maple syrup to). This Hyde Park central meeting place (with an additional location nearby in Bronzeville) has a drink named after Obama called the Mocha Bama with dark and white chocolate sauce, pineapple and coconut syrup, two shots of espresso, steamed milk, and whipped cream. Whether or not POTUS drinks it, we don’t know, but we do know if you’re out to get caffeinated in his former 'hood, this is the place to do it. 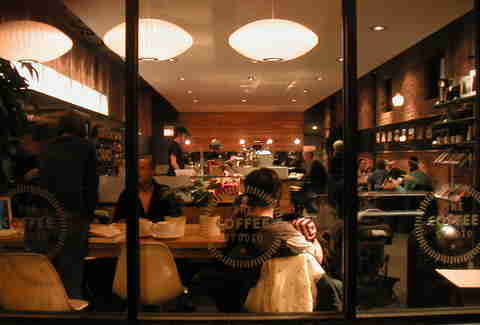 Founded in 2009, Asado was the first shop in Chicago to exclusively serve individually prepared cups of pour-over coffee. These days it has expanded to three locations thanks to flawless coffee that even the most serious of coffee snobs can find no fault in. 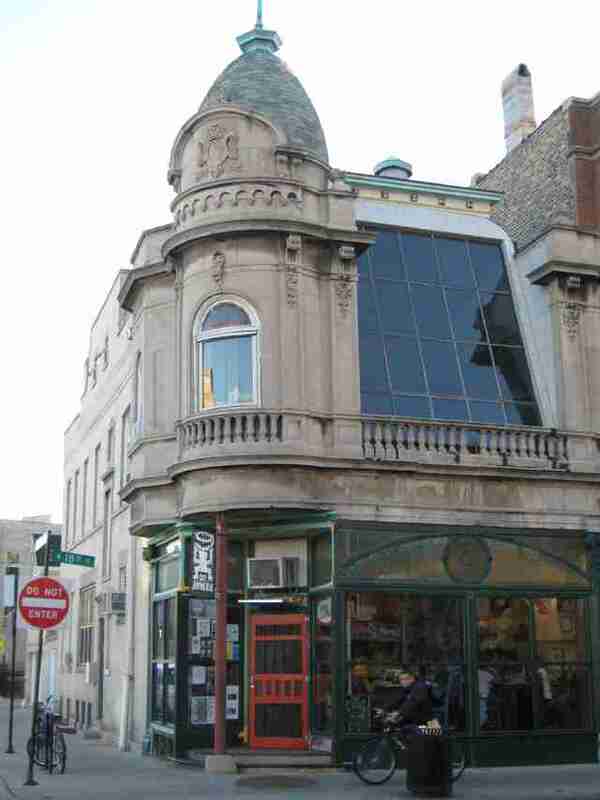 It also hosts a monthly avant-garde jazz showcase and, if you feel like getting all smart and stuff, coffee education workshops. Few things go better together than coffee and some weird magazine you can only find amongst the stacks at City News. 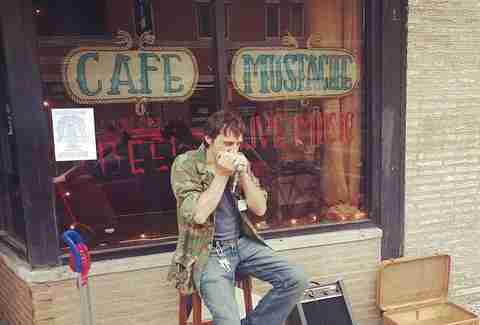 It also has live music and an inviting space tailor-made for wasting days in the most enjoyable of ways. The matcha green tea latte and homemade truffles are significant draw cards as well. 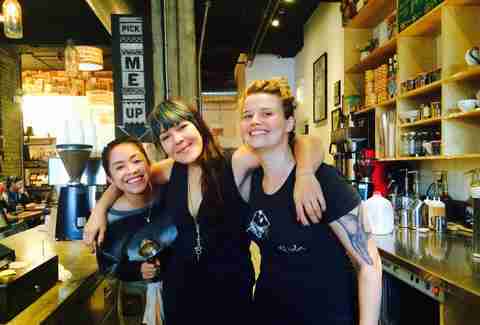 This one-year-old sister shop of Star Lounge could not have had a more successful debut year, establishing itself as THE coffee scene in a neighborhood packed with coffee shops. The spicy Mayan mocha is a fan favorite and, with everything from steampunk art to weekend DJs, the café is clearly a popular space for first dates. Bonus points for the cool back patio with graffiti-covered picnic tables. Situated across the street from Lincoln Park and opening into the lobby of the Lincoln Hotel, this newish spot from Boka Restaurant Group serves pastries from Paul Virant and the best PB&J in the city (made with pecan butter and berry jam.) As for the coffee, the pumpkin butter latte puts that pumpkin spice latte to shame. Everyone in Lincoln Square loves The Grind, for several reasons: 1) great coffee, especially the espresso and iced latte, 2) it's a cozy little space with chill vibes and cool people (it is a favorite of the dudes from the nearby Old Town School of Folk), and 3) its chill little outdoor patio for getting some work done in the sun. 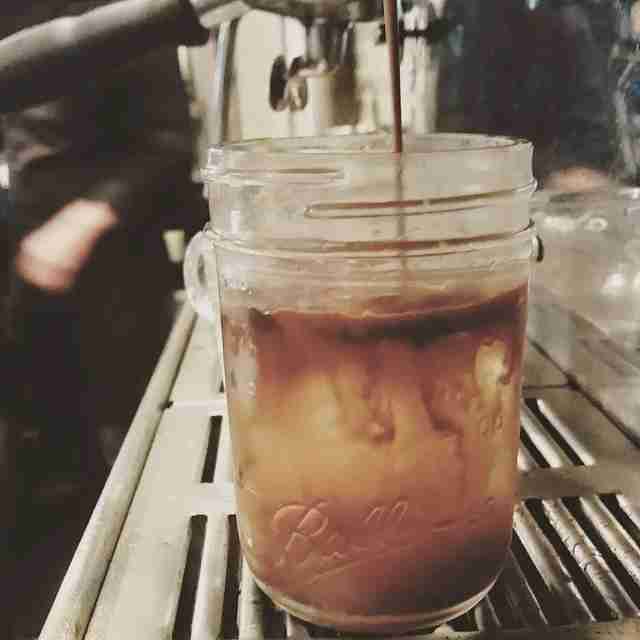 Yes, it’s true: hipsters drink coffee, too. Discover this fact when ordering a Black Pepper & Vanilla Fig Latte while you listen to indie jams culled from a 1,200+ vinyl album collection. Also: live bands, vegan chili, and even house cocktails like the Mayor Daley (bourbon, iced tea, lemonade) and craft brews including Two Brothers' Outlaw IPA. In a 'hood drowning in coffee chains, HERO (which, full disclosure, has a second location in Roscoe Village) is a nice little find with all the trademarks of a classic coffee go-to: chalkboard-written menu, funky wall art, and… a cereal bar? The HERO sandwich (with prosciutto, salami, and pancetta crisps) is nothing to sneeze at either. 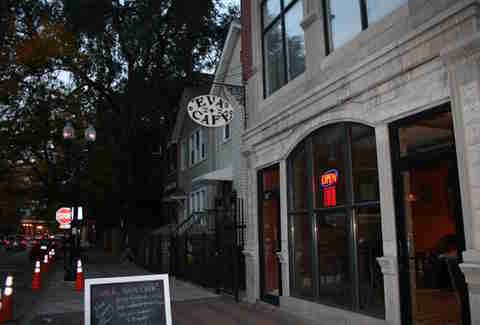 Eva’s Café is the perfect place to pony up near the big picture and watch the world (OK, Sedgwick) go by. It also has a little fireplace section surrounded by leather sofas, a nice antique living room vibe with bookshelves and, of course, hazelnut latte served in owl mugs. Part coffee house, part art gallery, part central neighborhood meeting place for the past 20 years, this warm and inviting space not only opens your eyes with fancy caffeinated drinks (like white satin mochas and iced Thai coffees), but also opens your mind with some of the best revolving art demonstrations in the area. Sometimes it’s good to go back to the basics: good coffee, good sandwiches, and a quiet place to get some work done. Also if you love coffee-centric quotes like “My Blood Type Is Coffee” and “Coffee in Styrofoam Is Against My Religion,” this quaint little Parisian-inspired spot is calling your name. It’s been two years since this popular South Side spot expanded to a second location in River North, and it’s nice to see it thrive in a 'hood where chains dominate the scene. It is most famous for its Belgian waffles (go peanut butter banana or go home) and the Mocha Diablo (traditional dark chocolate mocha with house-made chili pepper syrup), but you’ll be happy with pretty much anything you order. 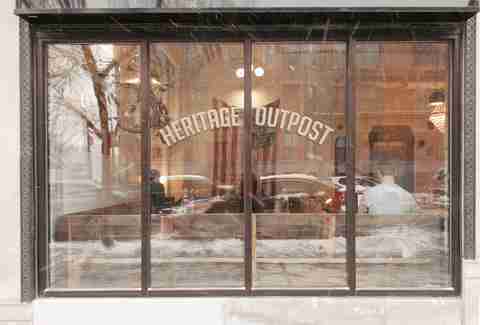 This uber-cool spot near the Howard Red Line stop has everything you need including Glazed & Infused Donuts, Bang Bang Pie Shop pies, and a standout espresso concoction called “The Q.” Dudes with beards, a Nintendo set with games, and drinks in Mason jars round out the pop-up hipster café experience. Getting a cup of coffee doesn’t have to be a scene you need to get dressed up for. And in the South Loop, your best non-chain option is this unassuming community spot where you don’t have to fight for a table or flash facial hair for entry. 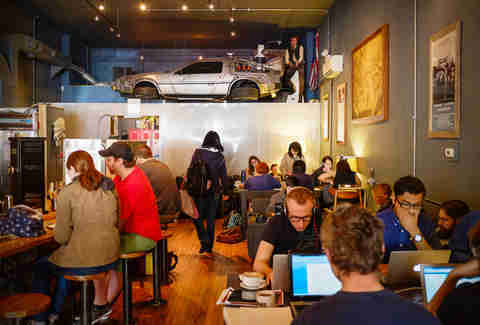 It is known for its Nutella mocha, as well as for being a non-hassle place to just show up and get some work done. This funky spot offers all the staples like cold brew coffee, salted caramel latte, and… bottled coffee? 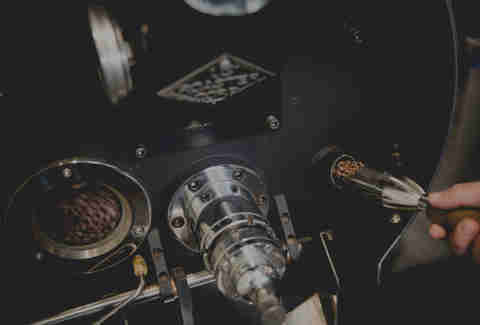 (Whisk Coffee Mexican dark roast.) The 20oz Americano with four espresso shots is a fan favorite, as is the funky wall art and classic hipster vibes. Hell, these dudes even have their own podcast. Taylor St isn’t exactly known for its coffee shops, but this chill little outpost of exposed brick and fair trade coffee is a more than worthy destination for fans of the java. Try the double latte caramel macchiato or maple bacon latte, paired with a Chicago Fire panini with pesto and prosciutto, and meet your new favorite spot. Is it a bike shop? Is it a coffee shop? 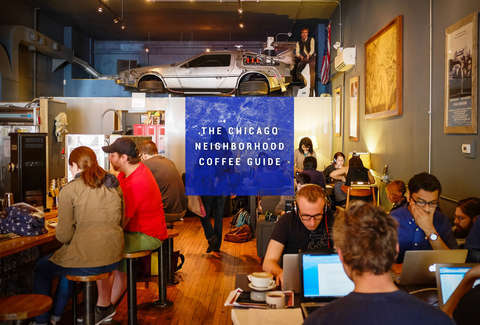 It’s a bit of both and, combined with a gorgeous open space of sofas and exposed brick in the lobby of an apartment building, it's one of the most legitimately cool places for your coffee fix in all of Chicago. The Lavender Latte is worth the trip in itself and, if you’re in the market for a bike, it has those too. Showcasing sparkling coffee equipment and old-school soda machines in a bright space brimming with cool, La Colombe could technically be considered a chain (it has two more locations in Wicker Park and Andersonville). But with latte on tap and bottles of pure black coffee, we’re willing to give it a pass. If you’re a sucker for full-scale Back to the Future DeLoreans, Teenage Mutant Ninja Turtles dolls, and framed Ghostbusters posters, this funky locals’ favorite is calling your name. Your ‘80s revival comes complete with Nintendo, Star Wars Trivial Pursuit, and coffee drinks that have no business being this good... specifically, the Peanut Butter Koopa Troopa. If Chicago had ridiculous coffee challenges on par with its ridiculous eating challenges, the Zombie at Pick Me Up Café -- three shots of espresso, two cups of coffee, steamed milk, and a massive serving of whipped cream drizzled with chocolate and caramel sauce -- would surely top the list. 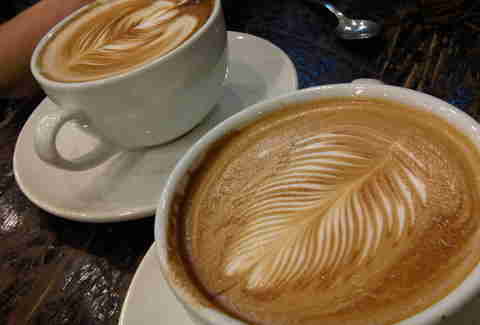 The café’s friendly, unpretentious vibes make this place stand out from the hipster-dominated coffee scene. Jay Gentile is a Thrillist contributor and he totally dominates at Mike Tyson’s Punch-Out!! (or at least he did in the ‘90s.) Follow @innerviewmag.